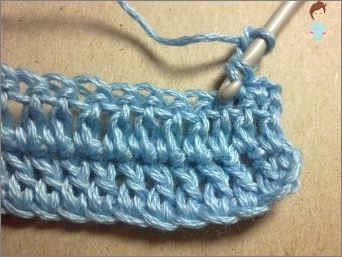 Crocheting the edges of hand-bound products is one of the most common ways of finishing. How to properly perform this delicate work? Crochet crochet Is used in different types of needlework. 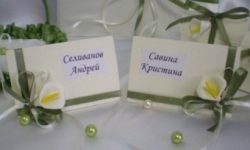 They can tie a lace edge for cambric or linen napkins and tablecloths, tie an openwork shawl, trim the shelves and collar of a jacket, tie beautiful ruffles along the edge of the hem of the dress or sleeves. Umelitsy with the help of a hook for knitting and yarn do real miracles! It's quite easy to learn this. This method is interesting when working on newThings. 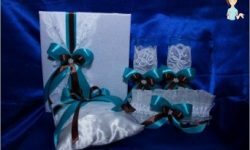 Masters know that with the help of strapping, for example, the edges of the sleeves with a delicate lace, even a simple dress or blouse can be turned into an exclusive hand-made thing. Straps knitting crochet used for the restoration of worn items. Old waistcoat or knitted skirt after edge harnessCan become completely different, especially if you take a bright yarn and choose the right drawing. 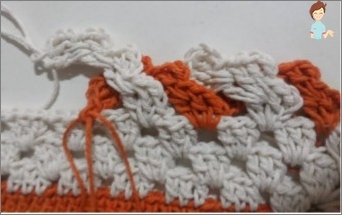 On the web, you can find many different schemes of binding the edge of different products with a crochet. It is not difficult to understand them - there would be a desire and time. Edging of the rim (ruche) with subsequent pritachivaniem it to things. Both ways are good, each is topical and in demandIn needlework. Which one to choose depends on the skill and complexity of the pattern. Of course, knitting the rim separately is easier, but neatly sew it not everyone can. Therefore, many skilled workers choose the first method,And knit finishing right along the edge of the sleeve, collar, shelf, hem. 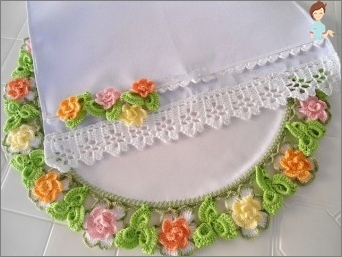 This allows you to make a nice harness of the crochet thing that looks harmonious and spectacular in the styles "romantic», Vintage,«Ethno". Great looking curtains, curtains, napkins and other home products, tied with a lace with a hook for knitting. They will find a worthy place in the kitchen, decorated in the style of "Provence", Gravitating to gizmos, as if pulled out of a grandmother's trunk. A separate lace borders with a relief edge decorate shelves and window sills. The number of crochet schemes is calculatedhundred. There are many such collections with detailed drawings and step-by-step instructions on the Internet. This again confirms that the method is popular. The binding of the edge with the help of a crochet hook suits things of different colors and styles. Of the abundance of drawings and schemes, each needlewomanWill certainly choose the one that fits the design for a particular gizmo. Experienced craftsmen come up with new patterns and schemes, which combine previously known options. Therefore, we can say with certainty that the crocheting of the edge by hook is not only necessary, but also a creative process. When we knit the braces of jackets and blousesFrom soft loose yarn, then their edges turn out to be too elastic, not very dense. They are stretched during socks, and the products are deformed, losing their original shape. Therefore, it is advisable to tie the edges of the crocheted thing after crocheting. The crocheting technology is quite simple. First, on the edge, knit the first row with a column without crochets. The hook must be inserted under the rear walls of the hinges, slightly tightening the edge, giving it the desired geometry. Next, you can tie a few more rows in the same column, or you can tie off the selected pattern. Among the simplest and most well-known methods of finishing the edge of things should be called "Stepping step". It is carried out by columns without a crochet, tied over the edge of the knitted fabric. The step is done from left to right. Hook to enter either the edge of the canvas, or immediatelyUnder two half loops of the final loop of the previous row. They need to grab a working thread and stretch it towards them through this loop. As a result of repeating this trimming technique, you will get a dentate, dense edge of the product. For things in the styles "Ethno","Provence"And"romantic"Suits the rim of the ruffles. For their knitting you will need a scheme. Ruches are formed due to the expansion of edge festons due to the addition of columns tied from one loop. Pay attention - ruches are obtained the more magnificent, the more poles you add! The height of the ruche is adjusted by the number of rows. Crocheting is a very extensive subject. Binding the edges of products with a crochet hook is only one direction in this handcraft. Crochet masters knit shawls and tablecloths, coats and raglans, dresses and jackets, toys and napkins. 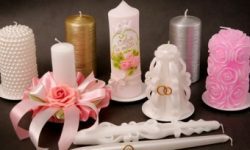 This technique, which came to us from the depths of centuries, makes it possible to create beautiful things for decorating the house and expanding its wardrobe.